”Tis the season to get jolly! We are excited to start the holiday market season! Join us this weekend in Chilliwack where we will be featuring the works of several AWE artists that are represented in our boutique gallery. We will have art, jewellery, greeting cards, accessories and home decor available to start your holiday shopping! 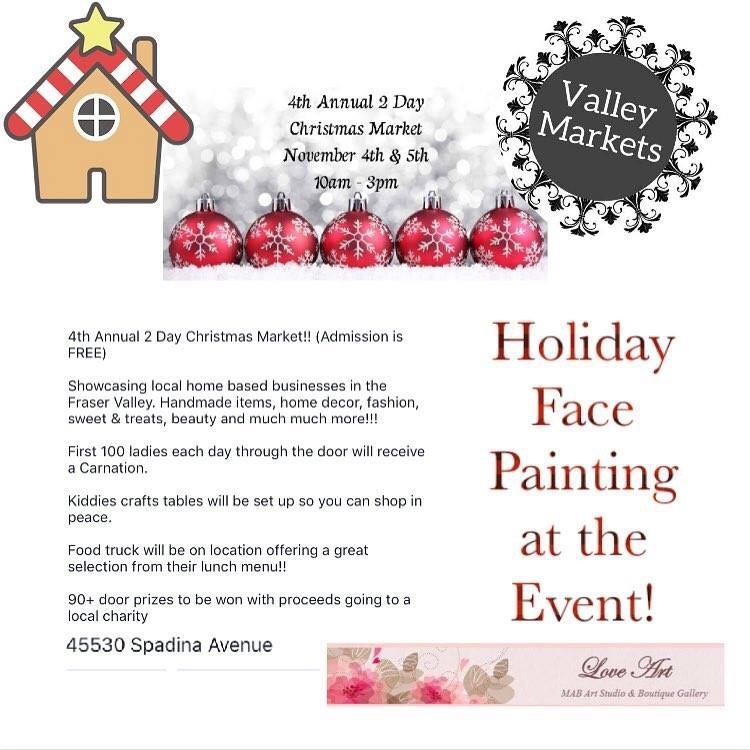 Be sure to shop local and support independent artisans and business owners this year and join us at this two day fair where Monik Blichar will be offering free face painting for the kids too!